Tomorrow is World Wetlands Day. Wetlands are one of the most productive, species rich and culturally intriguing habitats on earth. The theme of World Wetlands Day in 2019, draws attention to the vital role of wetlands as a natural solution to cope with climate change. Ken Irvine, Professor of Aquatic Ecosystems at IHE Delft answers a few questions on the importance of wetlands conservation and tells us more about a new, global initiative: The Alliance for Freshwater life. Why do we need an international day for wetlands and what are the main issues it aims to highlight? "Wetlands are a precious resource for both people and wildlife, although often not recognised as such. Indeed, historically, wetlands were often considered as an interference with development, or dismissed as ‘wastelands’. The Netherlands for example, is created on the draining of wetlands by turning them into either agriculture lands, residential areas or industrial zones. Globally, wetlands were never really seen as a factor in economic development or for the wide range of benefits provide. It is estimated that 50% of the world’s wetlands have been lost over the last 100 years. "The importance of wetlands was, however, recognised internationally in the 1970s with the creation of the Ramsar Convention, which now has 170 contracting parties committed to the sustainable management of wetlands. So politically, the world is basically on the same page, but in practice wetlands and its rich biodiversity are still under huge stress from a range of pressures, that affect not only what we can see, but what we can’t. "Overall then, the net result is a decline in extent and quality of wetlands. With increased need for food security, mainly in the global south, the conversion of wetlands to croplands is widespread. For every converted wetland which may gain some economic value or other benefits for one set of stakeholders, another set is inevitably affected. And who suffers the most? People at the low end of the social-economic scale. This year’s theme for World Water Day is ‘leaving no one behind’. Many people who use wetlands for subsistence livelihoods, are in fact being left behind". The Alliance for Freshwater Life was launched at Stockholm World Water Week last year. What progress has the Alliance made so far? "Freshwater biodiversity is vital to human life, providing clean water, fisheries, farming and recreation. The loss of, and pressures on, freshwater life is greater than any other ecosystem. Urgent action is therefore needed to develop policies and practices that conserve freshwater life. 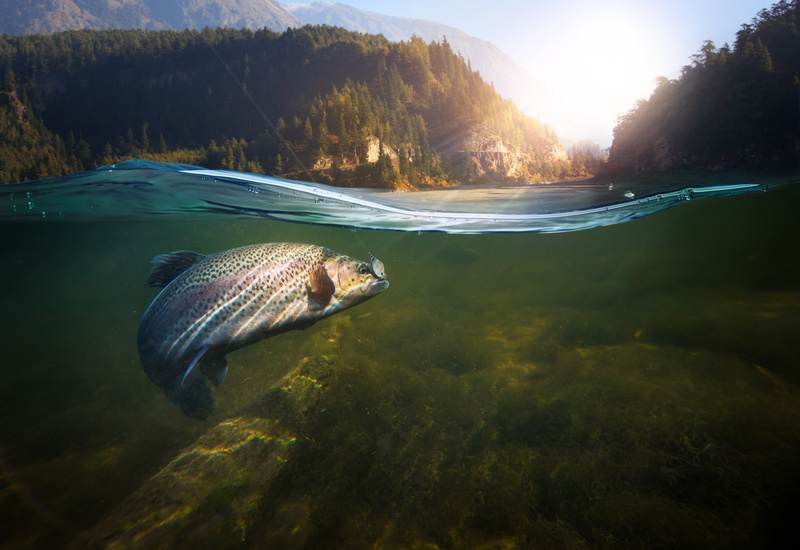 The Alliance for Freshwater Life was set up to halt and reverse the global decline of freshwater biodiversity. "The Alliance is unique in its focus that brings together all elements needed to protect natural freshwater ecosystems on a global scale drawing on and advocating: research, data synthesis, conservation, policy, and education and outreach.The immediate future development of the Alliance is working on action plans and funding opportunities for these five pillars. Activities include an international publication on open access (Darwall et al, 2018) and the website that is up and running. Anybody is invited to join the Alliance, as an individual or as organization; and that guarantees regular updates of activities." Can you elaborate on the ‘education and outreach’ initiative of the Alliance for which IHE Delft has a leading role? "We want to raise the profile of freshwater biodiversity worldwide through education and public engagement. But we have to involve the general public. Science is only one part of the solution. Within the Alliance we are entirely aware of the necessity to write and produce materials digestible for the interested general public. So we are translating the key scientific findings and policy development into simple and engaging messages. The outreach strategy captures all activities done under the other four pillars, in the area of conservation, data gathering and policy making for freshwater life and the worlds wetlands. "Most people are interested in some way in the natural world, they remember things from their childhood, like how they used to look for tadpoles in the small pond behind their family house. I am very encouraged by climate interest among young people. Look at the example of 16 year olds standing up and capturing the imagination of thousands of people. The power of social media will hopefully benefit freshwater and biodiversity as it does for climate change. Ultimately, we depend on freshwater, and the plants and animals that live in it." How can IHE Delft play a role in saving the world´s wetlands? "IHE Delft is a water institute, so wetlands, freshwater and ecosystems are obviously an important part of our education, research and capacity development activities. By educating water professionals from all over the world about wetlands and their conservation, IHE Delft contributes in his own way to sustainable wetland management when these water professionals return to their home country and implement the knowledge and ideas in their jobs and day-to-day life. "Wetlands are ecosystems that connect the dots for sustainable water use"
"Whether you are a water engineer, a person interested in water governance, or in the circular economy, it all relates to natural ecosystems. The MSc programmes of IHE Delft provide the knowledge needed for sustainable use of water that includes the wise use of wetlands. Protecting freshwater life is an essential contribution to the UN Sustainable Development Goals. The biodiversity element also transcends across the MSc programmes, and many of the projects that the institute is doing. The Building with Nature concept, for example, is inherently about preserving and using natural habitat to support economic development and the resilience of cities to environmental shocks such as floods and droughts, and wider manifestations of climate change. We often take for granted the importance of the natural world, wetlands or otherwise for the benefits they bring to people. It is not just the obvious economic benefits for livelihoods, such as sustainable fish yields and flood protection, but also the less tangible intrinsic values that nature offers to us all. Freshwater and wetlands are central to that, and worth a little more thought and a lot more protection. For me, every day is a world wetlands day."